« National Nucleus Hive Stands. A new product for Peak Hives and a few photos of recent items that have left the workshop. 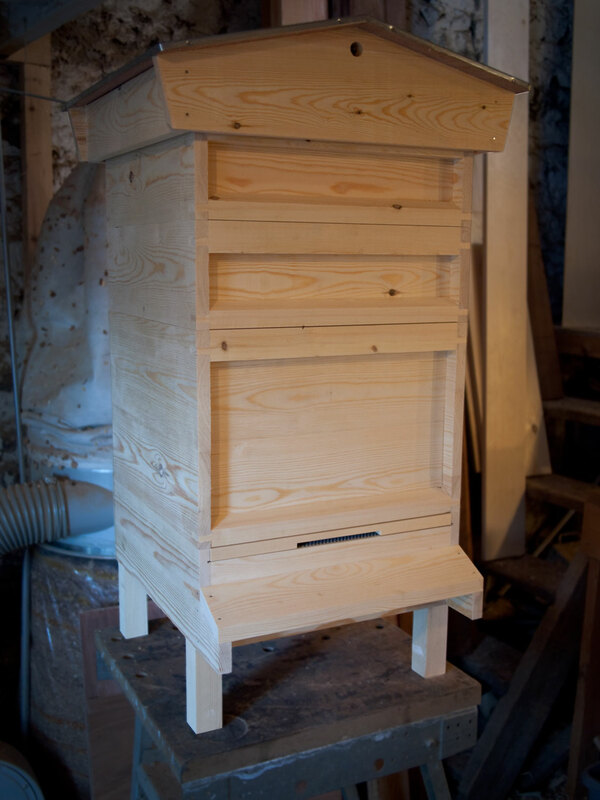 After a suggestion/request from an experienced beekeeper from the Leicestershire and Rutland BKA Peak Hives will now be offering the ‘Apiguard Crown Board’. 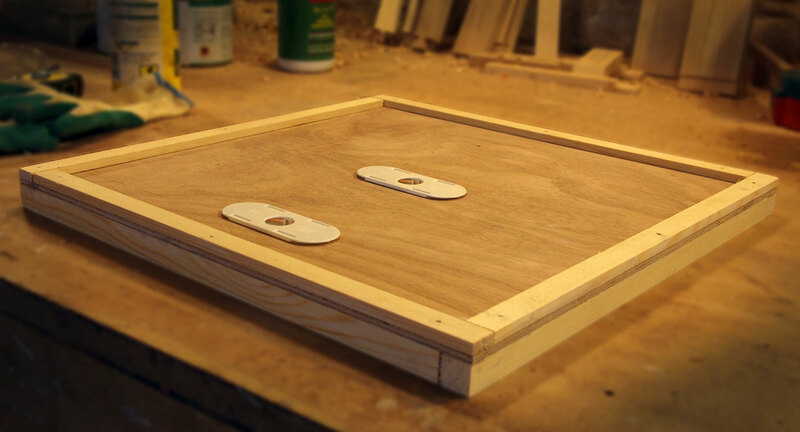 It incorporates a modification to the standard Crown Board adding a 3/4 inch strip round the normally flat side of the standard Crown Board. The purpose of the extra strip is to facilitate Apiguard treatment. 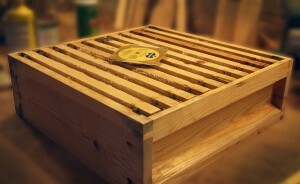 Under normal use the board is placed with the beespace side downwards but when it’s time to apply Apiguard (a Thymol based product which used in conjunction with other treatments has so far proven effective against Varroa) the Apiguard Crown Board is flipped over giving the 3/4 inch extra space for the Apiguard tray to sit in. A simple modification but effective against the Varroa mite. 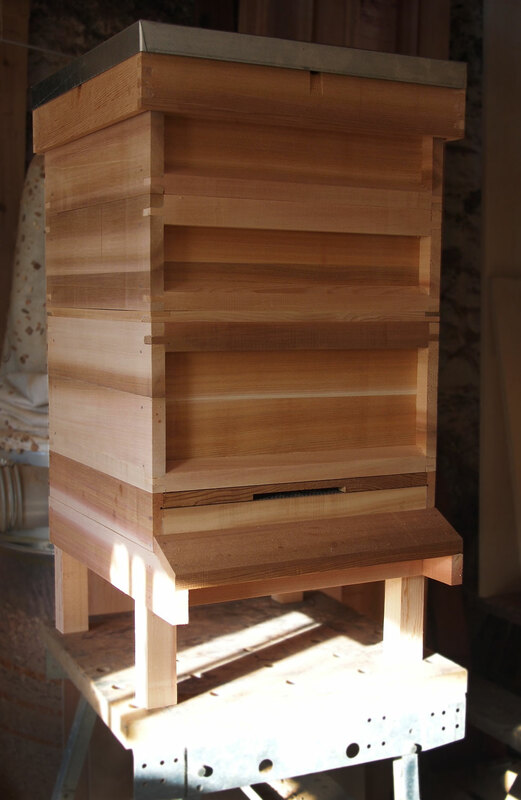 As with the normal Crown Board it also doubles up as a clearer board with the supplied Porter Bee Escapes. 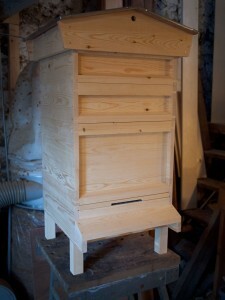 It can be purchased either as part of a flat pack or assembled hive or seperately from the left hand column. Here’s a few snaps of the new product. I think the photos more or less explain the way it works. Any questions please don’t hesitate to contact us. Now here’s a few photos of recent orders. 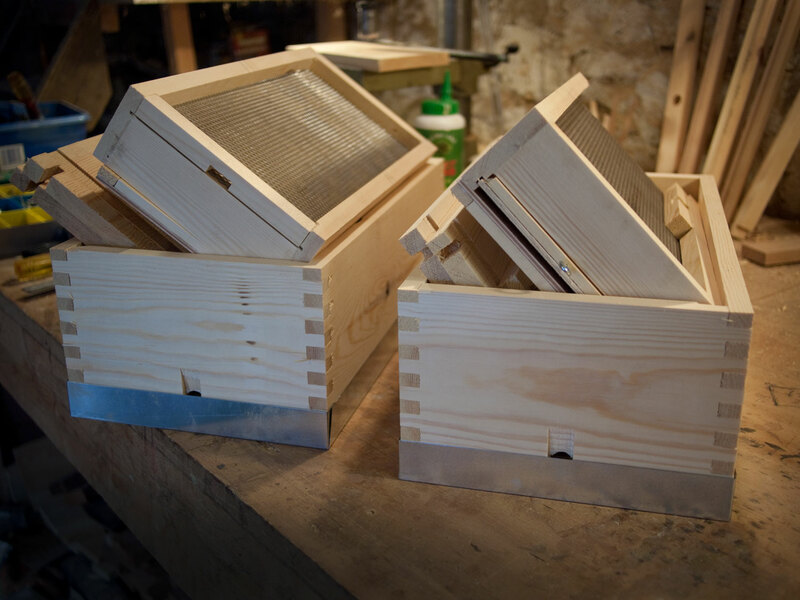 We’re still very busy and this is just a snapshot of a few that have been made up and shipped to hopefully happy Peak Hives customers. Update complete for now. 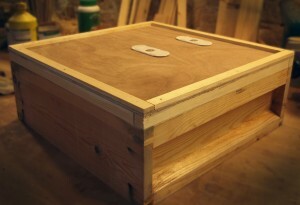 I have a number of products in the pipeline but have to concentrate on orders for the time being.